It is time to throw out the floss string and move to something less irritating and less boring. Let’s make flossing great again! 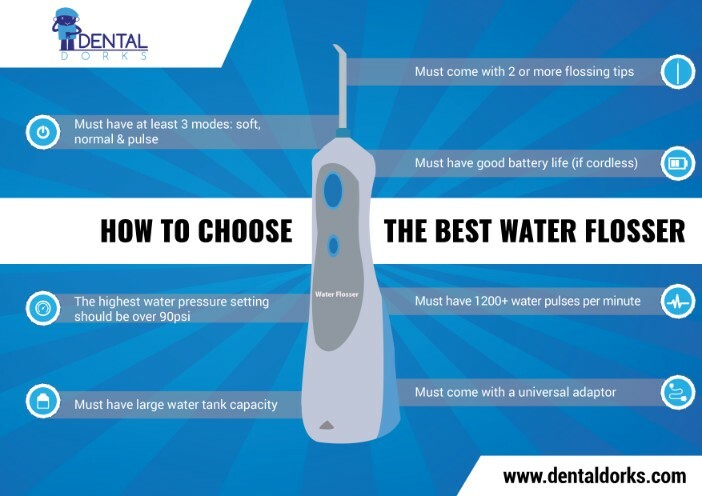 Purchasing a good and reliable water flosser is one of the best dental care decisions you can make. If brushing twice a day and gargling with various mouthwash solutions is not enough to keep the dentist away, then it is time you give water flossing a chance. Updated: January 5th, 2019. There are hundreds of water flossing devices available on the market. Every month new brands introduce their products via various social media and e-commerce platforms. In order to stay up to date (and because it is fun), we review all new brands and their respective models. Lately, however, we have found a surge of poorly manufactured water flossers. These are usually easy to spot because they have obvious fake reviews, no company website, and no way of contacting the brand. In order to stay away from such counterfeits, we advise you to have a look at our recommended brands and models below. This is by far the best water flosser on the market. This is one of the very few products in its class that has been officially approved and accepted by the ADA (American Dental Association). It comes equipped with 7 flossing tips and 10 pressure settings that make a world of difference to people with sensitive gums. The WP-660 Aquarius also comes with a 3-year warranty. Below you will find a list of 10 flossers that are worth your money. The list is unbiased and subject to change, in case new and better products come out on the market. There are three types of oral irrigators, widely referred to as countertop, cordless, and attachable. Before you start looking at each separate device’s functionality, you need to decide on the type that’s best suited for your needs. These flossers are generally less powerful then countertop ones but are irreplaceable if you travel a lot. They also tend to be less noisy and easier to use – since they have fewer options. Besides having fewer features, you may also need to charge the electric flosser, have access to a water source or replace batteries on the go. They tend to lose water flossing power as the batteries age with everyday use, so you might want to consider this type of water flosser for travel only, or if you don’t have a power socket in your bathroom. Attachable water flossers are not widely used, because they are less powerful, and usually come with no pressure settings. You rely on your water pressure from the mains or power shower to push the water through. They can be attached to most sinks and showers, plus many of them do not need a power source whatsoever, making them good travel buddies for people who love to move around. Due to their lack of motor, they are also the cheapest of all three types. These particular non-electric flossers tend to have very basic functionality, although you may be able to purchase different flossing tips. In our opinion, this is not the best choice. Countertop water flossers are the most powerful and reliable units. They provide a good number of pressure settings, advanced features, and largest water tanks. 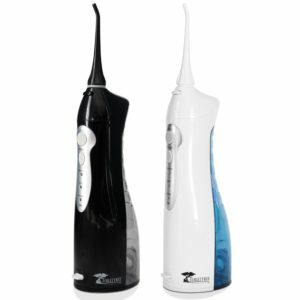 The number of flosser tips included with these electric flossers is also usually greater when compared to other models, like the cordless ones. The best water flosser that we reviewed can last up to 90 seconds without the need to fill out the water reservoir. This is almost twice as long when compared to any cordless model, although not limitless like the attachable oral irrigators. You will need a power source besides your sink and it’s not overly suitable for traveling due to the size. So, if you’re looking for immense flossing power and a range of plaque blasting features, a countertop water flosser is your best bet. If budget or convenience are also factors you need to consider, it’s best to start with a cordless or attachable unit. But, keep in mind that the pressure range on the latter two will not be as good as on the countertop models. These are generally cheaper, so if you decide they’re not for you, you can simply store them away for when you travel and hopefully still have enough of your flossing budget left to buy a countertop master flosser. Once you have determined the type of water flosser you want, there are a few important things to consider. The more the better, especially if you are getting a countertop flosser that will be used by more than one household member. The number of tips included usually varies. But, the good manufacturers like to include at least 2 extra. Check the cost of buying flossing tips from the manufacturer, also check if the flosser is compatible with generic flossing tips (this could save you a lot of money in the long run if the manufacturer’s tips need to be thrown away after a period of use). Sharing flossing tips is gross, unhygienic and definitely not advisable. You can buy multi-packs of the basic flossing tips that will get the job done, but you might want to consider buying specialist tips for your specific dental needs. Our sensitive toothed Dental Dork swears by the orthodontic tip! The better choice between the number of pressure settings is great for people who are just starting to floss and for people with sensitive gums and teeth. Being able to regulate the power of the stream allows you to gradually get used to the flossing device. Most good water flossers come with a number of pressure settings. But, what is a good pressure range? Well, that really depends on the sensitivity of your teeth and gums. Most countertop Waterpik models have settings that allow you to regulate the pressure range anywhere from 10 to 100 PSI. This is good, and necessary if more than one person is going to use the electric flosser. Bonus tip: start with the flosser inside your mouth, pointing at your tongue… this will stop water from making a mess in your bathroom or blasting your sensitive gums with too much pressure before you can adjust it. In this case, size matters. Larger water tanks allow for longer flossing sessions. It is kind of annoying when you have to refill the reservoir in order to finish up flossing the other half of your mouth. On the other hand, the temptation to leave water in the reservoir when you don’t use a full tank is bad. Fight the temptation! Lingering water goes stale and over time could get into the mechanics of the flosser. Furthermore, detachable reservoirs tend to be better than undetachable ones. Trying to fit the flosser under the tap or carrying water from the tap to flosser and pouring in… well, it’s just going to end in tears eventually. So, what is a good size water tank? In our experience, 650ml (22 oz water tanks) are the best. Surprisingly, there are countertop flossers that do not come equipped with this feature. It greatly helps to control the power of the stream (pressure range). It also allows you to start and stop the device without having to look down or fumble around and press the wrong button by mistake. Some flossers will come with small buttons to press, others may have sliders or dials to turn – if you’ve got large or uncoordinated fingers, better to go for dials and sliders for ease of use. NOTE: Some companies claim that their water flossers will help cure gum disease. While any kind of flossing will aid in the prevention and complete care of your teeth, no product alone will help cure this dental condition. This futuristic looking piece of flossing technology is considered the most advanced model on the current market. Not only that, but it comes in eye-catching white and stormy, but classy, black color. Compared to other irrigators, the Aquarius is by far the best-looking model. Waterpik have gone to great lengths to ditch their previously bulky and boring designs. As a result, their efforts have produced the Mona Liza of water flossers. However, looks and sleek designs are not everything, especially when it comes to dental hygiene. Thankfully, the WP 660 & 662 (black) water flossers hold more to themselves than what meets the eye. Waterpik have long been considered a giant among the water flossing manufactures, and the Aquarius model serves as yet another affirmation. The company goes as far as guaranteeing its customers an incredible 99.9% plaque removal. Considering the unit is being used as often as instructed (twice a day). The WP 660 & 662 models introduce a few new features that can distinguish it from the Ultra model. Some of them include an On/Off button conveniently placed on the handle, a 30-second pause option, and a relaxing gum massage. Thanks to Waterpik’s new modulation technology, the enhanced gum stimulation is heavenly soothing for your gums. Most needed feature for overall dental health. This is the best pocket electric flosser available right now. If you are looking for a device that you can take with you when you travel, this is it. This model is cordless, small enough to fit in any normal carryon bag, light, and very easy to handle. Speaking of traveling, this second generation unit supports universal voltages, so you can practically take it anywhere. Not just to the US and Europe, but also to the deep Amazon jungles. Considering you can find electricity there and a place to plug it. Seriously, let’s not forget about dental hygiene even when we go to the jungle or on an African safari! The design of this powerful flosser by ToiletTree is sharp, a little bit edgy, and very modern looking. It feels very secure in your hand, despite being so lightweight and powerful. Believe me, when I say, the stream of this unit will surprise you at first. This is why, it is equipped with three different modes: Normal, Soft and Pulse. The extra-large reservoir that comes by default with every unit eliminates the need to stop and refill. The reservoir is easy to remove, easy to fill up and easy to put back on. Besides the lustrous design, various functionality and ease of use, this water flosser made it to the top 10 list, because of ToiletTree’s unmatched customer service. Evidently, Panasonic are trying to expand their electronic consumer reach by testing new and previously unexplored dental hygiene lands. Their efforts, needless to say, have rightfully earned them the number 3 position on this list. Continuing with the travel-friendly trend that ToiletTree started, the EW-DJ10 is an excellent unit in that department. 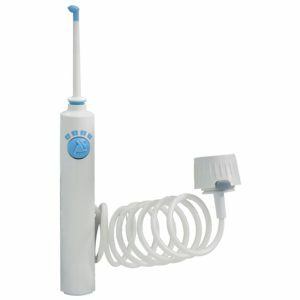 It is by far the smallest, and therefore, most efficient for its size water flosser available on the market. The ability to fold up and collapse to half its actual size, this model is perfect for stashing anywhere in your luggage. But, does size really matter? Operating at almost 27 water pulses per second, I think not! The dual speed pulse option absolutely compensates for the small physical size. This is what a Mini Cooper with the supercharged engine would look like. Kind of like the one from the movie “The Italian Job”. Powerful, portable and compact, Panasonic guarantees that the EW-DJ10 model will eliminate bacteria and plaque with the speed of light. Quick to fill up, easy to use and easy to clean. This Panasonic cordless flosser will enhance your gum health while remaining super simple to maintain. You get all of that and the perfect travel companion. This is a complete oral care solution by Waterpik. 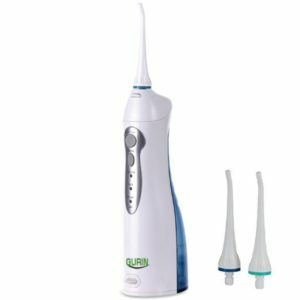 The WP-950 unit includes not just a water flosser but an electric Sonic toothbrush as well. The only thing missing are the floss threaders and string flossers. But, you can always use the cord for that purpose! Just kidding, please don’t use the cord! With its contemporary and compact design, this model can make a great addition to your bathroom. The convenient design and clever white and blue colors can practically match any bright interior design. Hopefully, your bathroom is not located in a cave. If it is, you must be Batman! And if you are Batman, then things like pressure range, the number of pressure settings and the number of tips included with your water flosser will probably not bother you. Speaking of your bathroom, the only thing is, that it will have to be located in North America. The WP-900 model is only compatible with 120VAC/60Hz outlets. So, you can’t really take it to Europe or Asia with you. It will have to stay home and collect dust. Unless, of course, you get yourself an extra cord, that only costs a couple of bucks! Or, use a transformer. On the positive side, this model will give you 90+ seconds of water capacity. So, you won’t have to stop in the middle of flossing to refill it. And if this isn’t enough, it comes with high and low-speed options that you can regulate from the handle. I just love the creativity behind the name of this company H20 Floss. It also resonates well with me, because H20 is the only term that I remember from chemistry class. Much like Waterpik, H20floss is dedicated to manufacturing dental irrigators and other gadgets suitable for dental care. I must say that their devotion has been outstanding, and for that reason, they deserve a special place in this top 10 list of water flossers. Known as the “hf-8 whisperer”, this unit is extremely quiet and has the ability to operate behind enemy lines. In other words, if your better half is asleep, you can comfortably floss your teeth in the bathroom without waking him/her up. No need to run down to the kitchen, or play commando by building a suppressor from your kitchen supplies cabinet. This model is truly quiet. Like any quiet ninja, the hf-8 is well equipped. It comes with 10 multi-purpose tips, a large (900ml) capacity reservoir and six pressure settings. The tank will arguably last you a good 180 seconds. So, if you are as quick as I am with flossing, you can use the same tank in the morning and in the evening, without having to refill it. This model is affordable and the plethora of tips (10) that it comes with are practically suitable for any dental use. Let me start by saying that this unit is considerably cheaper than the rest. The main reason for the low price is that this is a faucet powered water flosser. What that means, is that you attach it to your faucet and use it this way. It does not have its own water reservoir. Having said that, the Profloss 4190 unit does not need batteries or electricity. It works with magic! No, not really. It is powered by your faucet, and it is quite like a deadly assassin from an 18th-century Japanese movie. The main reason is that this model does not have a noisy motor or any kind of motor for that reason. Besides being low priced, this unit deserves a place on the top list because it’s the best of its kind. Not everyone wants a flosser with a motor or batteries. Also, not everyone wants a countertop model that takes too much space on their shelves. So, this is the solution for you. It comes with 4 pressure settings and two tips. It can fit most faucets that measure 15/16” (female faucet threads) and 55/64” (male faucet threads). 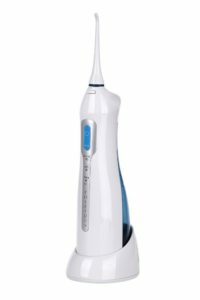 This is another powerful, lightweight and cordless device to help with your oral hygiene. Unlike other brands on this list, Gurin does not only produce dental related products. They have a variety of manufactured goods, such as dehumidifiers, electrode pads, and many more. Nevertheless, they have managed to design a sleek looking flosser that can go head-to-head with the other ones on this list. Weighing 13 lbs, this model is ready to be measured with the heavyweights of this industry. Namely Panasonic and Waterpik. This Gurin device has universal voltage, so you can take it with you to Antarctica, or Riviera Maya. Not, sure about your travel preferences. It also comes with 3 operating modes: soft, normal and pulse. This should be enough to satisfy the neediest of teeth. My personal advice is to start by using the soft mode and work your way up to the pulse mode. The third setting is quite powerful and it is advisable to warm up your gums before you turn it on. Unlike some other models on this list, the Gurin comes with just 2 picks. Both are, of course, color coded. One is blue and the other is green, allowing the unit to be shared. Much like the name suggests, this unit connects to your shower head. Unlike popular belief, the installation only takes a few seconds, and your shower head does not have to be detached. This unit comes with a really nice looking valve that is designed from chrome plated brass. So, you shouldn’t worry about the aesthetics of your shower cabin too much. Once you attach the valve and reattach the shower head, there is nothing else to do. 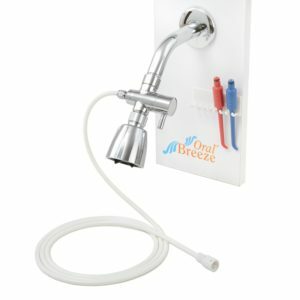 The simple valve lets you select between shower water and the ShowerBreeze. Switch it at your own convenience. 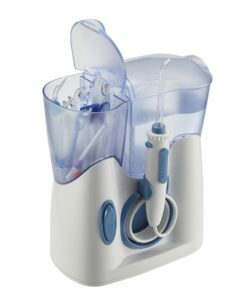 There are other similar oral irrigators on the market, but based on online reviews, this seems to be the popular choice. It is also unique to this list and it was included to give readers a bit of a choice. Flossing your teeth while showering must be pretty cool. Hitting two birds with one stone right there. The ShowerBreeze also comes equipped with two color coded tips, one red and one blue. Named after the ruler of the sea from the Greek mythology, this flosser will rule your teeth. The irresistible water forces of the sea and ocean are brought to you thanks to ToiletTree. This is also their second product on this list if you are following up. If not, you should know that this company has stellar customer service and their products are definitely worth a peek. The Poseidon model looks awesome and it comes with a smooth charging stand. This is a pretty cool feature because you don’t have to worry about remembering where you left the charging cord. Now, once you are done flossing, just place the unit back on the charging station. Another cool thing about this unit is that it has universal voltage and 3 speeds: normal, soft and pulse. The company claims that the model has a high capacity water tank. However, their website does not provide the exact measurements. Some reviewers on the internet seem to agree that the reservoir takes around 2/3 cups or 5.5oz of water. This is around 160ml, and a bit less when compared to the EW-DJ10 and WP-360W models. This is the third Waterpik product on this list, I know. But, I can’t help it. This is truly the company that started all of the fuss about water flossing, and they have revolutionized the industry more than anyone else. The WP-360W is yet another cordless model. Like the ones reviewed above, this is a great solution for traveling purposes. 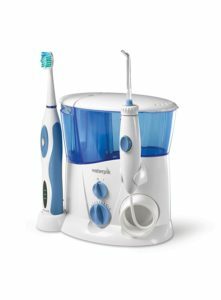 With 24 water pulses per second, or 1450 per minute, and 2 pressure settings, this unit does an excellent job of flossing. There have been numerous complaints regarding the battery life of the WP-360W. I’ve had this unit for about a year, and never had issues with it. In any case, check out the extended review of this and other cordless flossers by Waterpik. Putting this list together was a fun and educational experience. Trying out different products, inquiring about manufacturing practices and testing customer service was just a part of the research that was undertaken. At one point I think I was flossing my teeth up to 8 times a day. I tried looking up “over-flossing” syndrome in the medical dictionary, but thankfully, there was nothing on the subject! At least, not yet. But, before you just take our word for it, let me explain the criteria and factors that helped us to determine the best water flosser. There is a science behind our methodology. We do not simply look at water stream and battery life. Doing so will allow you to see what we considered important in our research. Hopefully, this will help you make an educated and conscious consumer’s decision in the future. Furthermore, we have put together a guide on how to use a water flosser. If for some reason you are unsure if this product is for you, head over and read about some of the benefits. 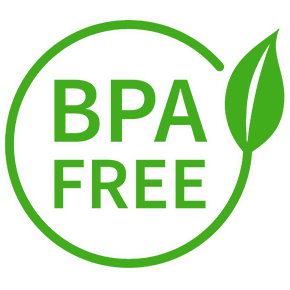 For those of you who are unfamiliar, BPA (bisphenol A) is an industrial chemical used by manufacturers to produce a variety of plastic products. The most common use of BPA is in polycarbonate plastics that make up a large number of food containers and water bottles. Another widespread use of BPA is with epoxy resins. These are mostly used to coat the inside parts of products made of metal, such as your favorite can of beans or tuna fish. The reason I bring this boring chemistry topic to your attention is that BPA has been clinically proven to be harmful to our health. This chemical element is associated with medical conditions, such as reproductive disorders, heart disease, impaired brain functionality and more. Without going into too many details, BPA was important to our research. All of the water flossers listed above are made out of plastic and the majority have plastic reservoirs. For this reason, it was essential that we consider the lack of BPA as a positive component of our review process. Based on information provided by the manufacturers, all products in this top 10 list are free of BPA. For this same reason, all products are FDA (Food and Drug Association) approved. A solid warranty demonstrates that the manufacturer exhibits strong confidence in their product. 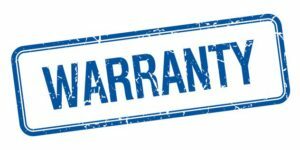 The extent of the warranty can also be validated based on two premises. First, what period of time does the guarantee cover? All oral irrigators featured on our list offer a minimum of 12 months warranty. Some units going as far as 36 months limited warranty. Second, what does the guarantee cover? Most products on our top list offer a full warranty for a certain period of time and a limited warranty afterward. Visit our extended review pages for the products that interest you in order to find out more. For good or for bad, the Internet has enabled everyone to express their opinion. Many of those opinions come in the form of reviews and ratings of products. These are the only ones that we were interested in when looking at different sellers and their dental hygiene gadgets. Honest reviews and ratings found on third-party non-affiliated websites, forums, and e-commerce platforms are great indicators of quality, warranty and customer service. We searched a variety of dental associated blogs and forums to find expert evaluations and grading. We also gathered recommendations from average consumers’ common review websites. Using a combination of authority opinions and average Joes’ opinions, we were able to form a relatively unbiased view. Each of the recommended products on this page has at least 300+ reviews and ratings gathered from a variety of sources. These evaluations were then combined and given an average score from 1 to 5. Customer service is often the only point of contact between a customer and a business. Let’s face it, none of us will travel to the manufacturer’s plant or sit on the board of directors when purchasing a dental flosser device. Whether it is before, during or after a purchase, the customer service needs to not just be there, but be useful. All brands that we have reviewed have customer service agents available via telephone, email and even chat (in some instances). Being able to reach out and ask a question is one of two aspects that we evaluated. The second one was the level of knowledge and usefulness. In other words, we assessed if customer service was available and if it was actually helpful. All companies scored somewhat differently on these criteria. More detailed results are available in the separate product review pages. The water flossers rated on this page are from three different categories: cordless, countertop and faucet/shower attachable. Okay, I confess, I totally made up the name of that last category. But, I only did so for a lack of a category name. Not because products in this category do not exist! The functionalities of each dental gadget were measured and compared to devices within the same category. 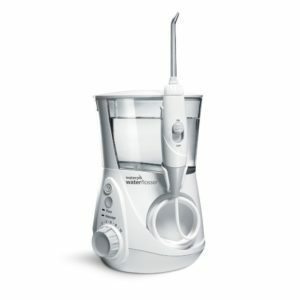 For example, the available options of the ToiletTree cordless oral irrigator were compared against the available options of the Panasonic cordless device. This allowed our team to avoid comparing apples to oranges. Overall, we’ll be checking how well the functions actually work. Often the manufacturers overexaggerate, so it’s our job to find out how the water flossers really function. It’s hard, gum-wearing work, but someone has to do it. At the end of the day, if a water flosser can’t properly floss out your mouth, it doesn’t matter how long the warranty lasts, how pretty it looks or how many tips it comes with. Can the unit be shared? The number of tips included. Water Control located on Handle (for countertop models). Battery life (for cordless models). There is no doubt that flossing can be time consuming and annoying. It can also irritate your gums, especially if it is not being practiced as a daily routine. The number one reason we like oral irrigators so much is especially due to the lack of intrusiveness. Once you get used to the feeling and the strength of the stream, flossing can be quite therapeutic. We update our list of top products at least twice a year. The speed with which the water flossing industry has grown in the last 4 years is incredible. But, whenever there is demand, there is supply. Our aim is to help you save time and money by quickly selecting the most reliable product. Check out the video below to see how easy and comfortable it can be when you make the switch from irritating string floss to an electric flosser. At Dental Dorks we stand firmly behind our choice of Aquarius. 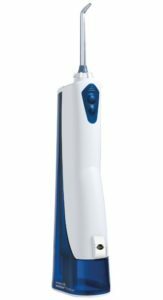 Waterpik are known for their quality and long lasting product, and the WP 660 is by far their best achievement in oral hygiene.